iOS 7 Confirms iPhone 5S will have 60 FPS Video Recording! Discussion in 'iPhone' started by DBZmusicboy01, Jun 10, 2013.
but that's the proof..I am so excited imagine the possibilities with 60 fps video recording. Where? I read this whole picture and it doesn't mention it. That great news to hear ..iam looking for it..please give a brief idea where it can find. That's the wrong picture... 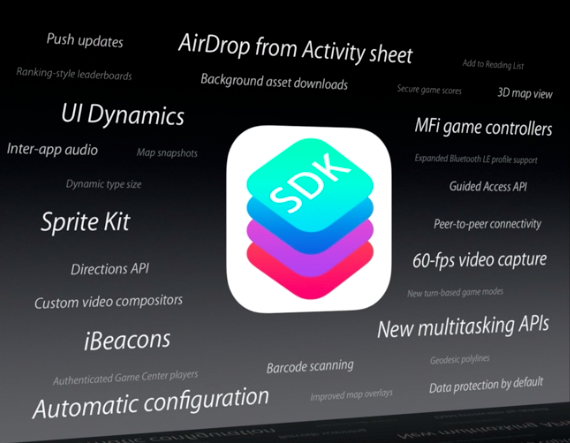 There's an SDK slide in the presentation. It's right before he discusses the new activation theft deterrence. I want to be excited too. Could you explain why I should be excited about 60fps video? Its good for action, video while driving, rollercoaster etc. its good for creating slow motion without choppiness. I'm actually kind of angry because I bought iphone 5 like a month a go. Cool. 60fps will make the video smoother I guess?